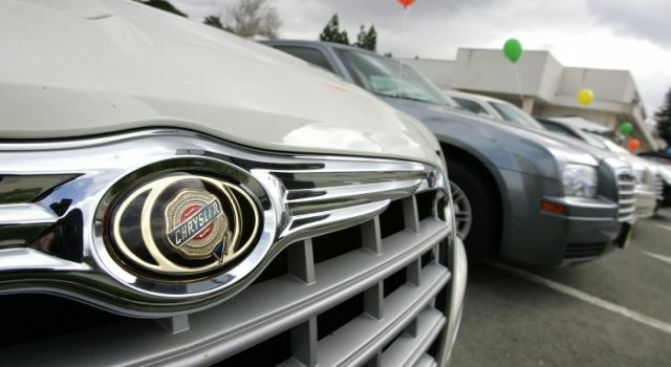 The high court has temporarily blocked Chrysler's sale to Fiat. Supreme Court Justice Ruth Bader Ginsburg has temporarily delayed Chrysler's sale to Fiat, potentially throwing a wrench into the Obama administration's hopes to speed the ailing automaker through bankruptcy. Ginsburg said in an order Monday that the sale is "stayed pending further order," indicating that the delay may only be temporary. A federal appeals court in New York had earlier approved the sale, but gave a group of Indiana pension funds until 4 p.m. Monday to try to get the Supreme Court to intervene. Lawyers representing consumer groups and individuals with product-related lawsuits are also fighting the sale. They say it would release the automaker from product liability claims related to vehicles it sold before the new company led by Fiat takes over. Ginsburg issued her order just before 4 p.m., when Chrysler would have been free to complete the sale of most of its assets to Fiat. Ginsburg could decide on her own whether to extend the delay or ask the full court to decide. It is unclear when she or the court will act. Chrysler claims the agreement with Fiat is the best deal it can get for its assets and is critical to the company's plan to emerge from Chapter 11 bankruptcy protection. Individuals with claims against "Old Chrysler" would have to seek compensation from the parts of the company not being sold to Fiat. But those assets have limited value and it's doubtful that there will be anything available to pay consumer claims. The appeals come as Congress intensifies its scrutiny of the Obama administration's government-led restructuring of Chrysler and General Motors Corp. The Senate Banking Committee said it planned to call Ron Bloom, a senior adviser to the auto task force, and Edward Montgomery, who serves as the Obama administration's director of recovery for auto communities and workers, to a hearing Wednesday. Sen. Christopher Dodd, D-Conn., the committee's chairman, planned to review the use of TARP funds to help the auto companies and look at whether taxpayers will receive a return on their investment. GM and Chrysler executives faced questions last week from Congress over the elimination of hundreds of dealerships as part of the companies' reorganizations. A senior Obama administration official said Monday that Fiat SpA will shake up management and change the culture of Chrysler if the courts allow the sale of its assets to the Italian automaker. The official says management changes will go deeper than the departure of CEO Bob Nardelli and Vice Chairman Tom LaSorda. The official spoke on condition of anonymity because the changes have not been made public.